30. 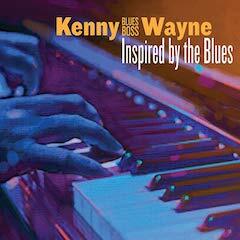 INSPIRED BY THE BLUES, Kenny “Blues Boss” Wayne (Stony Piain)—On this, his fourth album for Stony Plain, Kenny “Blues Boss” Wayne reaches back into the past to deliver a totally enjoyable collection of piano blues with Inspired By The Blues. Carrying on a tradition initiated by Cow Cow Davenport, Albert Ammons, Pete Johnson, Meade Lux Lewis and Memphis Slim, this boogie-woogie keyboard master of the first order is easily recognizable by the throwback zoot suit he wears when performing. 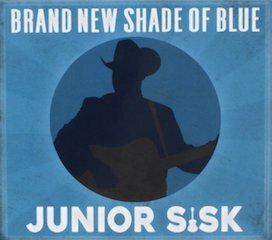 His smooth, steady, slightly-behind-the-beat delivery swings like a pendulum as it pushes the music steadily forward, breathing new life into a two-fisted technique that originated before the blues migrated from the cotton fields. 301 RIVERS AND ROADS, Special Consensus (Compass Records)– Over the past four decades-plus, veteran bluegrassers Special Consensus have served as evangelists for the genre, bringing their own spin the genre’s midwestern style to audiences around the globe. Their commitment and talents have been recognized with a GRAMMY nomination and three IBMA Awards, including Instrumental Recorded Performance for “Fireball” from their 2016 release, Long I Ride. 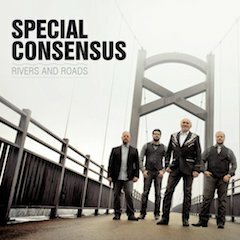 On its 19th album, Rivers and Roads, Special Consensus offers another well-curated set of top notch bluegrass numbers brimming with wit, heart and soulful commitment. The core band—-Greg Cahill (banjo, vocals), Rick Faris (guitar, vocals), Nick Dumas (mandolin, vocals) and Dan Eubanks (bass, vocals)—-is tight as ever, displaying the depth of its vocal and instrumental mastery from the first note on the leadoff track “Way Down the River Road,” a John Hartford original, augmented by the dancing feet of former John Hartford Stringband member Mark Schatz. (The Hartford family, by the way, gave its blessing to this outing.) Other standout tracks include “She Took the Tennessee River,” a song destined to become a bluegrass classic, penned by Becky Buller, who also contributes a blistering fiddle solo, and featuring the inimitable Bobby Osborne on lead and harmony vocals. On “Hurting Sure,” written by Mark Simos, SC enlists the talents of labelmate Molly Tuttle on lead and harmony vocals as well as a clawhammer banjo part that dovetails elegantly with Greg Cahill’s Scruggs-style banjo. 10 String Symphony and album producer Alison Brown join the quartet on a virtuosic arrangement of the old time instrumental “Squirrel Hunters” with another tip of the hat to John Hartford. 32. 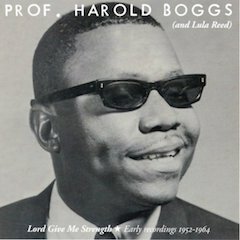 LORD GIVE ME STRENGTH: EARLY RECORDINGS 1952-1964, Prof. Harold Boggs (and Lula Reed) (Gospel Friend Records)— Perhaps one reason for Professor Harold Boggs not being as well remembered, or as appreciated, as his golden era contemporaries is his penchant for copying their sound. Absent a distinctive style of his own, Boggs emulated the prevailing sound of gospel music. In other words, listening to Boggs on Per Notini’s superb compilation of the blind singer’s initial recordings is a gospel music history lesson in audio. The influence of the expansive-voiced Brother Joe May is evident on Boggs’ earliest singles, as is the creep of rock ‘n’ roll rhythm on some of the late 1950s selections and the effervescence of Alex Bradford (minus the stave-topping high notes) on the latter tracks. Boggs even takes a page out of the Edna Gallmon Cooke playbook by narrating some of his recordings. Notwithstanding the follow-the-leader strategy, one certainly not novel to any music genre, the compilation offers some stunning sides in mining Boggs’ work on the King and Nashboro labels, along with one track from Song Bird Records (the second single released on the Peacock subsidiary). For starters, the 1953 version of “Inside the Beautiful Gate” is a hard-charging up-tempo piece, while 1960’s “Heavenly Power” finds Boggs and his singers engaged in an intense session of call-and response. Boggs and the Boggs Specials command of rhythm was likely as compelling to churchgoers as to club denizens. It’s fascinating: although Syd Nathan of King Records allegedly wanted the Swan Silvertones to sing jubilee harmonies in the late 1940s, by the early 1950s he was comfortable releasing pulsating gospel sides by the likes of Professor Boggs and organist-singer J. T. Highbaugh. 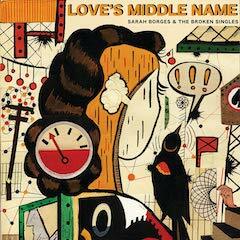 33 LOVE’S MIDDLE NAME, Sarah Borges & The Broken Singles (Blue Corn Music)— You can learn a lot about artists from the covers they choose. Sarah Borges’ decision to belt out the J.Geils Band gem “Cry One More Time” (also notably covered by Gram Parsons) tells you plenty. Add obscure tracks from Brennen Leigh (a leathery “Lucky Rocks”) and Frankie Miller’s “I Can’t Change It” (the final cut on this first studio release from Borges and her Broken Singles backing unit in four years) and it’s clear she is a no-nonsense Americana rocker with great taste and a cool record collection. 34. 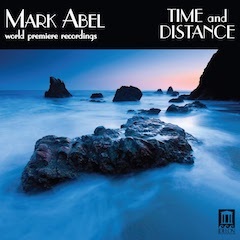 TIME AND DISTANCE, Mark Abel, with Janelle DeStefano (mezzo-soprano; Hila Plitmann (soprano); Carol Rosenberger and Tali Tadmor (piano); Mark Abel (organ); Bruce Carver (percussion) (Delos Music)— Poets, philosophers and similarly-inclined personages have long proposed music as a universal language, one in which sentiments impervious to the communicative capacities of words alone can be satisfactorily and comprehensibly articulated. Music can be argued to be a sort of communal mother tongue in which differences of accent, syntax and vocabulary do not impede understanding. Its dialects are as numerous as combinations of melody and harmony, but it is not “speaking” its language but rather hearing its discourses that wields music’s true connective energy. The sounds of Zydeco are meaningful to the listener whose first language is that of Zelenka or Zandonai because they stimulate the heart as boldly as they provoke the brain. Minds perceive as they are trained to do, but hearts are governed by a consistent mechanism. One man’s tunes are different from another’s, but, like the hearts to which they appeal, they are propelled by beats anyone can discern. 37. 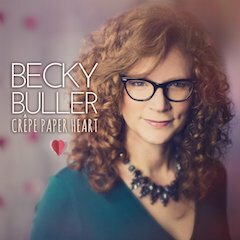 CRÊPE PAPER HEART, Becky Buller (Dark Shadow Recording)– From the opening notes of “Another Love Gone Wrong” to the closing of “Phoenix Arise,” the 12 songs here will take you on an emotional roller coaster of thrills, tears, longing and loss. The stories are compelling, as Beck Buller songs tend to be, and the performances do them justice. Again, that’s no surprise if you’ve followed her on stage and on record. With the collective strength of her band and an all-star lineup of guests, anything less would be shocking. But I’ve said many of those things about Becky’s past projects. So why am I ready to proclaim this her best work yet? 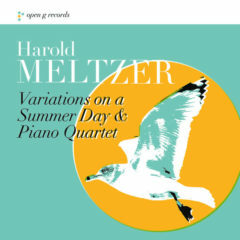 Because the melodies are some of the most compelling and memorable I’ve heard, on any record, in any genre. They take the songs to a whole new level of emotional impact. 38. JIM LAUDERDALE & ROLAND WHITE (Yep Roc)– When Jim Lauderdale arrived in Nashville in the summer of 1979, he befriended the iconic bluegrass mandolinist Roland White (Kentucky Colonels, Bill Monroe’s Blue Grass Boys, Country Gazette) and soon found himself recording his first-ever album, with White, in the basement of Earl Scruggs’ home. Which became the finished product’s home for the next 40 years, until it was accidentally rediscovered and issued in 2018. 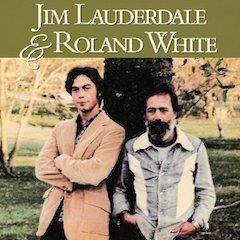 Titled simply Jim Lauderdale & Roland White, the long player illustrates Lauderdale’s unambiguous old-time roots even as it amply displayed White’s virtuosity and sensitivity. 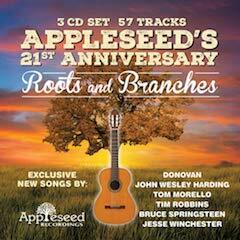 A live clip from a 2011 performance at Nashville’s Station Inn, featuring Jim Lauderdale and Roland White teaming on a Kentucky Colonels song, ‘I Might Take You Back Again.’ Their original recording of this bluegrass evergreen is featured on the Jim Lauderdale & Roland White album recorded in Earl Scruggs’ basement in 1979 but unreleased until 2018. Backed by bluegrass stalwarts Johnny Warren (fiddle), Terry Smith (bass) and Stan Brown (banjo), as well as Gene Wooten (Dobro) and Marty Stuart (lead guitar) on a dozen songs–only two of them written by then-22-year-old Lauderdale–the duo offers an intriguing program of contemporary bluegrass even as the end result reveals a path young Lauderdale might have taken had he been fully embraced by the bluegrass world at that time. While there is nothing necessarily groundbreaking on display, the performances are spirited and engaging throughout. 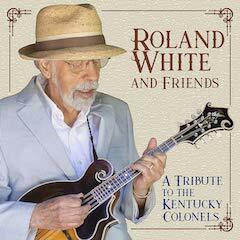 White sings duet with Lauderdale on several songs including “February Snow” and Donovan’s “Catch the Wind,” and takes the lead on “I Might Take You Back Again,” a song from Kentucky Colonel bandmate LeRoy Mack. Familiar songs such as “Gonna Lay Down My Old Guitar,” Clyde Moody’s “Six White Horses” and the Louvins’ “Don’t Laugh” are also revisited while a lively picking display animates album closing “Nashville Blues.” The finest performance is a seemingly tentative rendition of the Reno & Smiley classic, “Wall Around Your Heart;” with Lauderdale’s vulnerability is on full display. 39. SOMETHING’S HAPPENING! 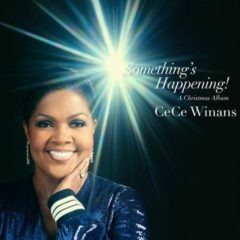 A CHRISTMAS ALBUM, CeCe Winans (PureSprings Gospel/Thirty Tigers)— One is struck immediately with how much CeCe Winans’ voice has deepened in tone since her last solo Christmas album in 1998. She wraps her mellowed voice around the holiday songs on this new release like tongues of flame around a yuletide log. 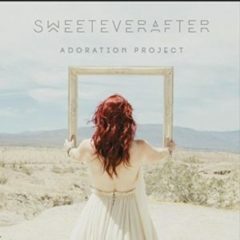 The result is an album as cozy and satisfying as hot cocoa on a winter day. 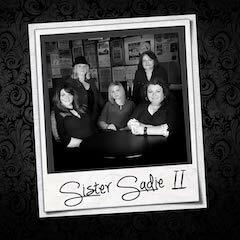 Five new songs and five classics comprise the tunestack here.. Among the classics she shares is “I Heard the Bells on Christmas Day,” Longfellow’s poignant Civil War-era poem set to music. (The poet wrote it in 1863 in the depths of despair: two years earlier his wife had burned to death in a house fire; and shortly before he wrote the poem his oldest son, a Union soldier, had been severely wounded in battle.) Almost a century and a half later, in our tumultuous time, it remains relevant and comforting, as Winans’ interpretation delivers with all its deep feeling intact. Although they may not reach the level of chestnut, the new holiday songs are hopeful and tender, fully sold by Winans’ earnest reading and rich orchestral accompaniment. Despite the jingle bells keeping time and the lyric reference to Jesus’ birth, “Something’s Happening” could be sung at other times of the year besides Christmas. Similarly, “The World Will Never Be the Same,” with its clanging church bell, references the holy birth but contains a timeless message. 40. PAST MADE PRESENT: MUSIC OF JESSICA KRASH, featuring Emily Noël, soprano; Ian Swensen, violin; Robert DiLutis, clarinet; Tanya Anisimova, cello; Laura Kaufman, flute; Jessica Krash, piano; Members of the Washington Master Chorale; Thomas Colohan, conductor (Albany Records)— As important to the continued viability of Classical music as memorable performances by accomplished performers is the emergence of original, compelling compositional voices that communicate the modern world’s complex emotional conundrums in musical language that challenges, comforts and uplifts. The legacies of previous generations of composers, bolstered by works of timeless, universal relevance, are sufficient to preserve the prestige of the genre’s illustrious history, but its future cannot be secured solely by memories. In the words of the English composer Sir Malcolm Arnold, “Music is the social act of communication among people, a gesture of friendship, the strongest there is,” and the world in this second decade of the 21st Century direly needs gestures of friendship. 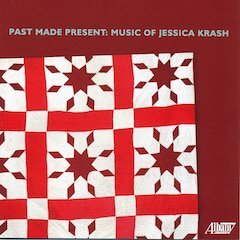 There is no surer path to friendship than mutual understanding, understanding of the kind that can be found in—and learned from—Bach’s Matthäus-Passion, Beethoven’s Fidelio and Carlisle Floyd’s Susannah; above all, it is a quest for compassionate awareness that permeates the music of American composer Jessica Krash. 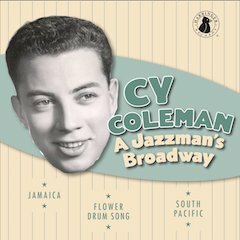 With Past Made Present, Albany Records’ commitment to providing this unique composer with an avenue into the public conscience is furthered with recordings of music that both manifests and encourages accord achieved through self-examination. 42. IN REMEMBRANCE, Choir of the Royal Hospital Chelsea, et al. (SOMM Recordings)– In the centenary anniversary year marking the end of the First World War and on the eve of the 80th anniversary of the beginning of the Second World War, SOMM Recordings pays tribute to those who fought and fell in battle with In Remembrance. 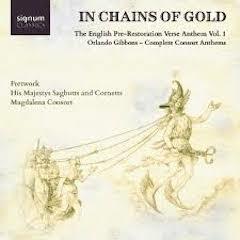 A moving compendium of music spanning 130 years, it features the Chapel Choir of the Royal Hospital Chelsea, the Choir of Chelsea Pensioners, Staff and Volunteers, sopranos Katy Hill and Leah Jackson, baritone Gareth John and organists James Orford and Hugh Rowlands under the direction of William Vann. Founded in 1682 by King Charles II, the Royal Hospital is home to the world-famous Chelsea Pensioners–retired veterans of the British army–whose contributions on three tracks add special poignancy to In Remembrance. 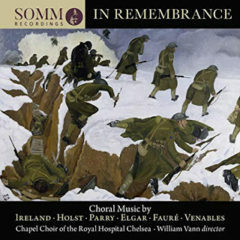 Moving choral works commemorating courage and offering comfort by Hubert Parry (his anthemic “Jerusalem”), Gustav Holst (the stirring “I Vow to Thee, My Country”) and Edward Elgar (his serene partsong “They are at rest”) are heard alongside equally affecting pieces by their contemporaries and successors, namely Charles Villiers Stanford, John Ireland, Douglas Guest and Charles Harris. 43. 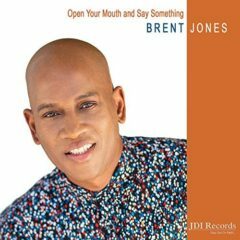 OPEN YOUR MOUTH AND SAY SOMETHING, Brent Jones (JDI Records)— “Don’t you dare walk away from gospel music!” Brent Jones exhorts his congregation in the midst of his delightful new project, Open Your Mouth and Say Something. 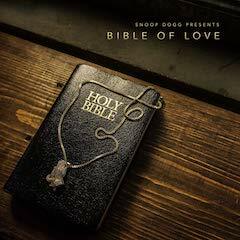 On his new project, the former leader of T. P. Mobb and the architect of the Easter Sunday favorite “He Rose” offers nine selections, many rendered with the talented Waco (Texas) Community Choir. What distinguishes this project from others in rotation today is Jones’ honest and humorous repartee with his live audience. Although he takes music seriously, he doesn’t take life so seriously that he cannot point out the peccadilloes of fellow church folk who strive to be perfect but are, after all, wholly human. “Don’t Wait Till Midnight,” for example, is about how Christians wait until problems become emergencies before petitioning the Lord’s help (Jones has also recorded this song with Coko of SWV). 44. 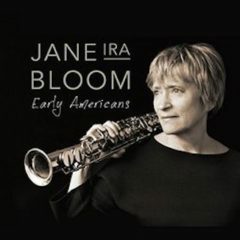 EARLY AMERICANS, Jane Ira Bloom (Outline)– This remarkable set from soprano maestro Jane Ira Bloom serves as a departure for the saxophonist in being her first trio album after several years of working in a quartet format. Stepping away from having a chordal instrument as a harmonic crutch is often a leap of faith for many musicians, but a specialist in the treacherously pitched soprano saxophone is not only confronting his/her own skills and intuition as an improviser but also, as the only lead voice and main soloist, having to dispel the preconceptions of others as to the wisdom of such a move. 45. 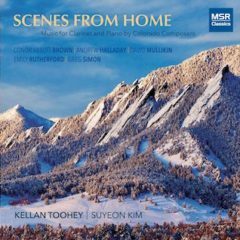 SCENES FROM HOME: A COLORADO COLLABORATION, Kellan Toohey (clarinet) with Suyeon Kim (piano) (MSR Classics)— Kellan Toohey, a gifted young clarinetist from Colorado, has bestowed a lovely gift upon composers “who are either from Colorado, or who have lived here for some part of their life.” This well-deserved fruit of Toohey’s Kickstarter campaign is music inspired by the beauties of the Centennial State’s natural landscape; it is unfailingly mellow and engages the listener with genuine affection and a distinctive voice–let it be said that Mr. Toohey knows how to make a clarinet sing in beautiful tones. David Mullikin, who wrote an oboe concerto that Colorado Symphony principal Peter Cooper recorded with the Academy of St. Martin in the Fields, contributes a playful, charming Suite antique that is most effective when it’s being blithely neo-Mozartian. Nature returns magnificently with Andrew Halladay’s “Five Scenes from our Aspen Grove,” exploring America’s innocent musical soul: open, curious and apt to break into song at any moment. Greg Simon’s sad yet lovely “Two Orchids” captures memories of Denver like raindrops on a lake. Here’s a collection that feels like a photo collage of majestic Colorado scenery. Boulder clarinetist Kellan Toohey drew inspiration from his surroundings for his new album, Scenes From Home. He assembled five pieces by composers who have lived here in Colorado, conjuring a loving portrait of the Rocky Mountain landscape. 47. 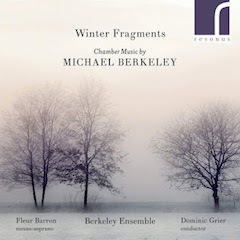 WINTER FRAGMENTS: CHAMBER MUSIC BY MICHAEL BERKELEY, Berkeley Ensemble, Fleur Barron (mezzo-soprano), Dominic Grier (conductor) (Resonus Classics)– Winter Fragments is the latest disc by the Berkeley Ensemble to feature music by Michael Berkeley. On this outing the ensemble (Sophie Matter and Francesc Barritt, violin; Dan Shilladay, viola; Gemma Wareham, cello; John Slack, clarinets; Andrew Watson, bassoon; Paul Cott, horn) is joined by Fleur Barron (mezzo-soprano), Luke Russell (flutes), Emily Cockbill (oboe and& cor anglais), Sarah Hatch (percussion), Helen Sharp (harp) and Dominic Grier (conductor) to perform Berkeley’s “Catch Me If You Can” and “Clarinet Quintet,” music spanning nearly 30 years of Berkeley’s composing life. In a fascinating article in the CD booklet, Michael Berkeley discusses his works and his approach to composing with the Berkeley ensemble’s Dan Shilladay, though I would have welcomed a little more basic information about the pieces being performed. 48. 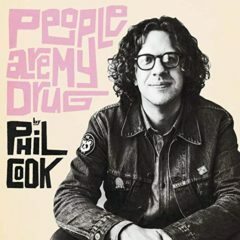 PEOPLE ARE MY DRUG, Phil Cook (Psychic Hotline/Thirty Tigers)— Rootsy gospel vibes abound on Phil Cook’s second solo album, People Are My Drug. A native of Wisconsin now transplanted to Durham, North Carolina, Cook inspirations include classic gospel artists such as the Staple Singers, the Sensational Nightingales, Margaret Allison, Shirley Caesar and Brother Joe May. 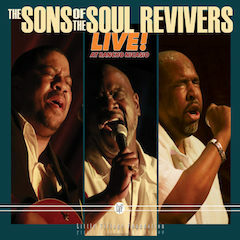 His touchstones are evident, too, in the album’s sound, its lyrics and even in the quartet-like vamp on two tracks (“Steampowered Blues” and “Every Mother’s Son”). “Tide of Life,” written by Lloyd Woodard of the Original Five Blind Boys of Mississippi and issued on Peacock Records in the early ’60s, is one of the choice covers here done justice by Cook and his ensemble. 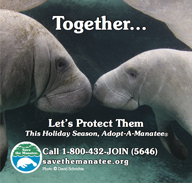 “He Gives Us All His Love” is a Randy Newman piece expressing gratitude to God for watching over everyone. The gorgeous “Tupelo Child,” written by MC Taylor of His Golden Messenger (Cook was a member of this folk band), is an Americana track replete with apocalyptic images. 49. LIVE! AT RANCHO NICASIO, The Sons of the Soul Revivers (Little Village Foundation)– Formed by Walter Morgan Jr. in 1970 to carry on the tradition of the Original Soul Revivers, a quartet founded by his father, Walter Morgan Sr., and his uncles, Morgan brothers Walter Jr., Dwayne, and James are joined in song by Oliver Calloway on drums and DaQuantae Johnson on vocals and bass guitar. Little Village Foundation founder Jim Pugh assists on organ and Thomas Smith on guitar. The group’s quest is to achieve the kind of widespread visibility that the Blind Boys of Alabama and the Fairfield Four have enjoyed for the past three decades. Based on the sound of their new album, Live! Rancho Nicasio, the fellows are definitely on the right track. Recorded during two sold out shows at the Rancho Nicasio roadhouse in Marin County, California (roots music being its specialty), the album was produced by the Little Village Foundation, a nonprofit record company whose mission is to release music that other labels do not typically feature.